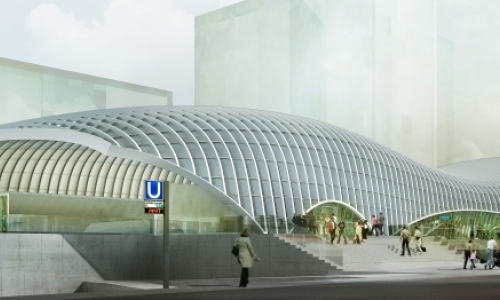 For the roof of the new train station a structure is proposed which is adjusted to the spatial requirements of the station - in plan as well as in its longitudinal elevation. The curved volume which is composed of a sequential arrangemen of curved beams, is widening generous at the four entrance zones, reduced in space in lesser frequented areas, and thereby creates the sidecut space of the hall. 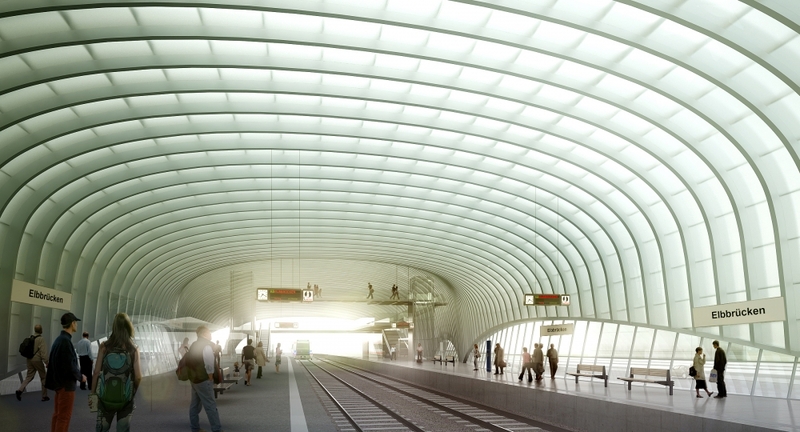 The tree curved archlike edge beams at the longitudinal sides are not only enabling wide entrance zones, but also are taking reference to the arches of the nearby Freihafenbrücke.